I’ve been a Tinytouchtales fan for a long time. The proof? Arnold and Wiebke gave a talk at the very first Talk & Play event back in 2013! 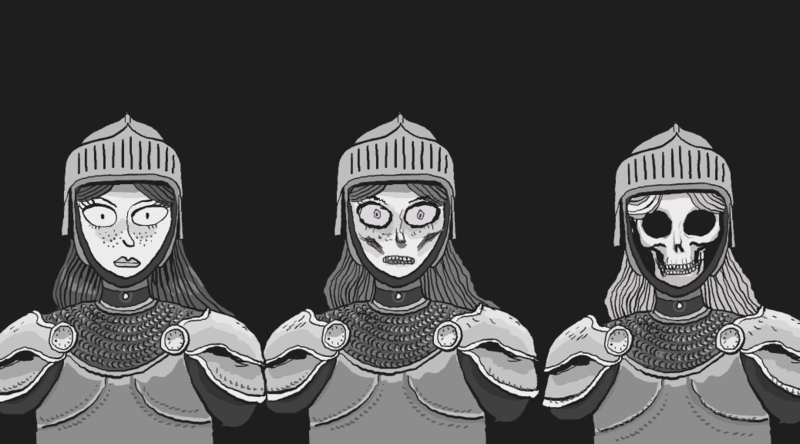 Since then, a few things happened: the two got married, switched from Stencyl to Unity as their main development tool and released a variety of mobile games, openly blogging about their successes and failures along the way. 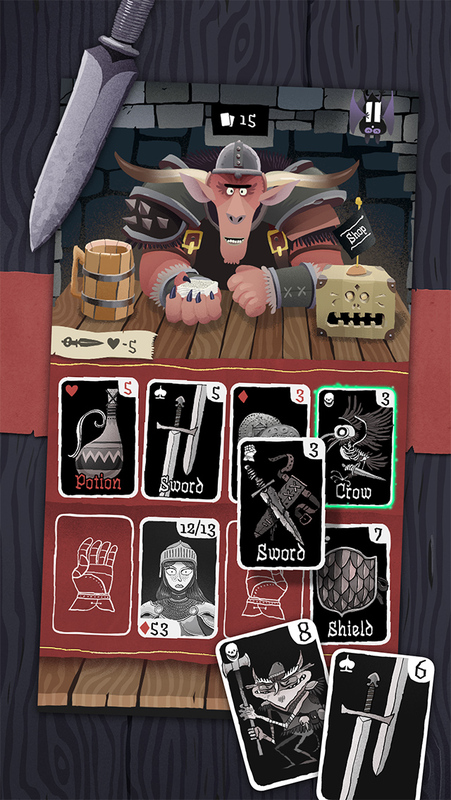 Today sees the release of Card Crawl, a collaboration with Mexer which has been in development since last summer. Inspired by other digital card games such as Blizzard’s Hearthstone and Zach Gage and Kurt Bieg’s unreleased Scoundrel, Card Crawl is a dungeon crawler built around a deck of 54 cards, where the goal is to help the female protagonist (pictured above) clear the dungeon without dying and with as much gold as possible. Like the best games, Card Crawl is easy to learn but hard to master, and once you start getting good at it you won’t resist the temptation of sharing your score on Twitter or record a Let’s Play video – here’s one in English and here’s one in German by the Berlin-based SuperKreuzBurg crew. So, what are you waiting for? If you’ve got an iOS device, go buy Card Crawl now! Scoundrel was created by me and Zach, could you please make changes to the post to reflect proper credit. Thanks.